If you were arrested for refusal to submit to a breath, blood or urine test in Hillsborough County, FL, then contact an experienced criminal defense attorney at Sammis Law Firm. With offices in downtown Tampa, the four attorneys at Sammis Law Firm focus on DUI defense. Call 813-250-0500. In many Driving Under the Influence (“DUI”) cases in Florida, the main evidence used by the prosecutor to prove the offense is a chemical test that indicates the driver’s breath or blood alcohol content was over the legal limit of .08. The good news is that when the driver refuses to take the breath, blood or urine test, the prosecutor is without that important evidence. In fact, the prosecutor cannot even allege one alternative way of proving DUI called DUBAL. The term DUBAL stands for “Driving with an Unlawful Blood / Breath Alcohol Level” (sometimes called “per se” DUI). The only other way for the prosecutor to prove DUI is by showing that your “normal faculties” were impaired. If you refused the breath, blood or urine test, then you will be charged with DUI under a theory that alcoholic beverages impaired your normal faculties. The bad news with a refusal is that the prosecutor is allowed to argue to the jury that you refused because you thought you were guilty. This argument is called the “consciousness of guilt” argument. Your criminal defense attorney can explain all of the other reasons that you refused. The jury often understands that the refusal occurred for some other reason, not because you thought you were guilty. People who are not impaired often have the most questions about why they should submit to a test that they don’t understand. In fact, an innocent person who believes they have been wrongfully arrested in the first place might be the most likely type of person to refuse the test. The breath tests have been excluded in several counties because the prosecutors for the State of Florida are refusing to turn over the “source code” of the machine, called the Intoxilyzer 8000. Many people “refuse” to take the breath test because they know that the machines are not accurate. If you knew that courts were throwing out the results across the State of Florida would you risk your good name and a possible criminal record on taking a test that you believed might lead to an inaccurate reading? The bad news is that Florida DUI laws attempt to compensate for this lost evidence by making harsher penalties for individuals that decline to take a chemical test, including an increased administrative suspension of your driver’s license by the Florida Department of Highway Safety and Motor Vehicles (DHSMV). If you have been charged with DUI and refused to take a chemical test, it is important to fight that administrative suspension. You only have 10 DAYS to file a demand for a formal review hearing. For a second DUI arrest or conviction, there is no downside to fighting the administrative suspension. If your driver’s license was valid when you were arrested then your attorney can help you obtain a 42-day driving permit while your attorney fights the suspension. If you win the hearing then you will get your driver’s license and full driving privileges back while you fight the DUI case. You will automatically win the hearing if the arresting officer fails to appear at the administrative hearing. Additionally, in many cases, you will also win the hearing if the breath test operator fails to appear. Many other technical issues are raised at the hearing. Mistakes by law enforcement officers can and will result in those administrative suspensions being invalidated when the proper objections are raised at the hearing. Contact the Sammis Law Firm to discuss your DUI Refusal Case at 813-250-0500 or visit our main website to learn more information about hiring a Tampa DUI Lawyer to fight your alleged “refusal” case. In many of these refusal cases, an aggressive defense can cause the prosecutor to offer a plea to a reduced charge of reckless driving which has much lower penalties, including no suspension of your driver’s license. Additionally, a reduced charge of reckless driving, especially if adjudication is withheld may lead to substantially lower automobile insurance rates saving the driver thousands of dollars over the next three years. If you were arrested for driving under the influence (“DUI”) after refusing to submit to a breath test, contact an experienced DUI attorney to discuss your case. Find out more about DUI refusal cases in Hillsborough County, Polk County, Pinellas County, Manatee County, Sarasota County, and Pasco County at our main website. Click here for more information: Tampa DUI Attorney website. (e) Who, after having been so informed, refused to submit to any such test when requested to do so by a law enforcement officer or correctional officer commits a misdemeanor of the first degree and is subject to punishment as provided in s. 775.082 or s. 775.083. (2) The disposition of any administrative proceeding that relates to the suspension of a person’s driving privilege does not affect a criminal action under this section. (3) The disposition of a criminal action under this section does not affect any administrative proceeding that relates to the suspension of a person’s driving privilege. The department’s records showing that a person’s license has been previously suspended for a prior refusal to submit to a lawful test of his or her breath, urine, or blood shall be admissible and shall create a rebuttable presumption of such suspension. Florida’s DUI Refusal Statute – Visit the official website of the Florida legislature to read Florida Statute Section 316.1932 regarding implied consent for tests for alcohol, chemical substances, or controlled substances and the consequences of refusing to submit to testing. 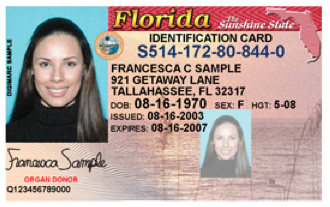 Find links to other statutes under Title XXIII for motor vehicles under Chapter 316 for the state’s uniform traffic control statutes including Florida Statute Section 316.1939 which explains the penalties for a second refusal to submit when the driving record shows a prior administrative suspension for refusing chemical testing. If you have been charged with DUI after allegedly refusing to take a chemical test of your breath, blood, or urine, contact an experienced DUI defense attorney at the Sammis Law Firm. Our main office is conveniently located in downtown Tampa, FL, near the courthouse. During the free confidential consultation, we can discuss your case and the best way to fight the charges against you to avoid a DUI conviction. We can help you file a demand for a formal review hearing to fight the administrative suspension of your driver’s license. We can also help you fight the criminal charges in court. This article last updated on Tuesday, April 23, 2019. The info is good since I have been adjudicated with $ in lieu of community service hours. But, it doesn’t explain who and how to make payment. I would prefer to make payment online. Explanation?? My husband was arrested for DUI. The officer pulled him over for failure of a traffic control device(White Line) and stated in his report that my husband’s vehicle was past the white line and the bumper of the vehicle was over it. Then in his report he aslo stated that where/how the van was impeded the flow of traffice both turning and crossing the intersection. We went to the intersection and took pictures of how the officer explained in his report. The vehicle was not in the cross-walk nor was it impeding the flow of traffic. The case was dismissed and the charges dropped by the State Attorney, however the DMV still enforced the suspension of his license and even though he has been over 1 year without his license, the DMV will not re-instate his license unless he signs up for DUI School and pays inflated Administrative fees totaling at least $500. We have requested additional Administrative Hearings, have taken the court papers showing the charges dropped, etc. They are just trying to generate revenue through the unlawful stop that the over-zealous cop initiated. How can we get his license back if all of the charges were dropped? It seems unfair to make him have to pay for something that was ruled unlawful at the court level. In many ways, winning the administrative hearing is as important as winning the criminal case. An attorney can fight the administrative suspension by serving a subpoena on the arresting officer and other witnesses to attack the legality of the stop or whether the arresting officer has probable cause to make the DUI arrest. If you win the administrative hearing then any mention of it is removed from the driving record. But if you lose the hearing or fail to contest the suspension, then you must jump through the hoops that you mention including attending DUI school and paying all of the fees before you can get your driver’s license reinstated. If the case involves a breath test over a .08 and you obtain a “not guilty” verdict at trial, then you can go back to the DMV to have the administrative suspension lifted. But getting the charges dropped by the prosecutor or dismissed by the court in a refusal case will not cause the administrative suspension to be lifted. arrested for a dui blew 0.00 but refused a urine test the whole case has been “no information filed. 9 1/2 yrs ago my license was suspended for 1 yr for a refusal. will they(dmv) keep my license ?for 18 months? Lawyer Legion – Directory for Attorneys – Online attorney directory uses objective criteria to rank attorneys including their membership and leadership in local and specialty bar associations, board certification programs, and speaking engagements at CLE seminars.